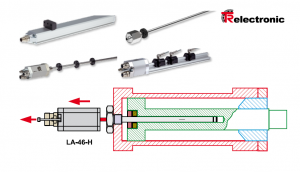 TR Electronic offers a complete range of linear coders to report the distance travelled from an axis. The position is given in an absolute way. As usual TR offers us a wide array of networks on this series (IO link, Ethernet IP, SSI, Ethercat, Can Open, Device net, PowerLink, Sercos, Profibus, Analogue) several different configurations are available including a modular version Up to 20 meters long. Macron Dynamic is a manufacturer of linear motion Cartesian systems and solutions. 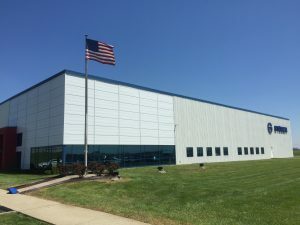 Macron products are manufactured with the highest quality materials assembled in North America and designed to withstand high-cycle applications. The result is a combination of versatility, durability and virtually maintenance-free operation. 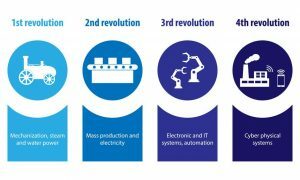 Industry 4.0 do we have a choice? Canada, which is not successful to filled the productivity gap with the other industrialized countries. So we can’t not miss the next turning point of the 4.0 industry. The next industrial Revolution, like any other, will create wealth, winners and losers. I prefer to be a winner and you? Quebec manufacturers who once pulled their game with a low dollar, lower overall costs and a sense of resourcefulness in Quebec will have more and more difficulty in doing so. Several companies did not even take the turn completely 3.0. The well-structured company, equipped with the latest technology will thrive thanks to automation. Their product will be better built. They will have fewer production stops, their customers will know the delivery dates and will be delighted. Do we have a choice? 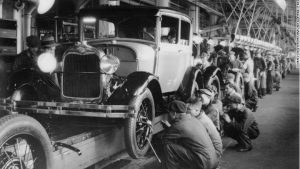 Well no more than Ford’s competitors had, with the chain production. Ford was doing thing, faster, better cheaper! The basis of change begins with the simplification of work and the automation of repetitive processes. In the majority of cases the result is a higher rate, more quality, more consistency and more safety for the workers who works with the machines. I think Canada is well positioned. We have invested in our schools and we have a good pool of educated people in addition to having a good basin of aging machinery that needs to be changed. Interest rates are relatively low. We only have to look at the Chinese who currently install more robots than any other country in the world and yet the labor is plentiful and cheap? They may have understood that it is inevitable and strategic. Now you have to start planning and investing before your company loses its relevance in the market and your low market position makes financing of the new technology impossible. I will not hide that there is a lot of work to arrive at the factory 4.0. But the profits are immense not to mention that the generation of millennial that follows may not want to work in a factory or repetitive work is difficult and stunning or even in a factory where the information is non-existent. This generation is accustomed to finding its info with Google. It will be difficult to understand that nothing is available on your production line. That the reports are made by hand by collecting given data on the right and left. I think they’re right. So in my humble opinion the turning point is inevitable, if not your industry is doomed, because your competitors will do things better, cheaper and faster than you. Further recruiting new employees to work in outdated factories will be impossible. You don’t want to live the inverted Hygrade phenomenon, fewer people eat it because it is not fresh. Or the inverted spiral that is so scary to Bill Gates. When buying a car or a new smart phone people want the latest technology, why not do the same thing in our factories. Don’t we spend three quarters of our lives at work? Intelligent sensor, security management, quality control, networking and robotics Infrastructure. New TR Electronic encoder SIL 3 PL e! Tr Electronic known for their programmable coders now offers a programmable absolute encoder approved for functional safety SIL 3 PL e. Available on different bus it integrates with different controllers to give you fonctional safety . Unlike conventional encoder the features are implemented in the encoder. For example, the safe speed monitoring or the safe position monitoring is available directly in the encoder. The programming is done in the software of the client controller using a profile downloaded in this one. Available on different network (Profinet, Profibus, Ethercat, Open Safety, Powerlink) are easy to integrate . Stober now offers a redundant brake solution in accordance with the ISO13849 standard for vertical loads! Delivery problem with your linear axis components? We may have a solution to help you solve problems and reduce complexity in managing projects involving linear axes. Several manufacturers of linear components have difficulty to meet the current global demand right now. The delivery of components such as linear rails, ball screw, and rail guides has been increased buy the double, some from 6 months to 12 months. Making the management very difficult and the level of energy for the management of the orders, just doubled. Have you ever calculated the cost of building your linear solution with individual that involves multiple vendors? PBC linear has come to the conclusion that it is less expensive to buy a complete solution. Consideration must be given to engineering costs, purchase costs, multiple tracking, complex assembly, overhead cost, inventory cost. In addition to possible errors of choice and assembly of 21 component VS. 1. According to the famous principle that if something should go wrong it will always be when you cannot afford it. So imagine forgetting to order components with 12 months of delivery or even a bad choice of caliber that requires a reengineering and another order of 12 months. To sub contract its linear needs to experts is a good idea. The quantity of system delivered by those manufacturer allows to have a design proven by the community of users and to have judicious advice and to obtain a product closer to its needs without having to over-calibrate all the components. 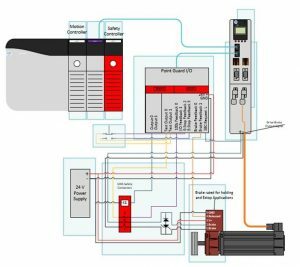 In addition to giving you an audit of your engineering the sub-assembly approach allows you to save time and gain efficiency. This is why PBC linear itself components manufacturing now offers pre-assembled products. 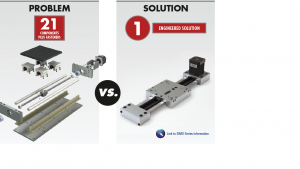 Another benefit of the approach is that manufacturers of linear solutions when sourcing from linear components outside have a larger volume and goes first in the supply chains assuring you a better global delivery. Moreover they are able to better manage the situations of drastic change of delivery of components so if you’re main reason for being is not the linear axis construction let the experts give you a solution. Some manufacturers for example stock linear Rail and cuts to the desire length has needed. So they can better anticipate and adapt to different market demand. And do not have to wait for the rail manufacturer to cut it. Ask us for a product offer immediately and remove pressure on your supply chain. Prosynergic is back from training and visiting the Stober factory in Kentuky! I invite you to watch the following video that gives you an idea of ​​this commitment to quality. Stober work to eliminates downtime, oil leaks and other counter productive elements too often associated with gearboxes.